"I turn to poplin when the weatherman brings good news. I turn to this collection when I fancy a splash of vim and vigour. On a bright, optimistic Friday, these colourful shirts are an absolute treat." 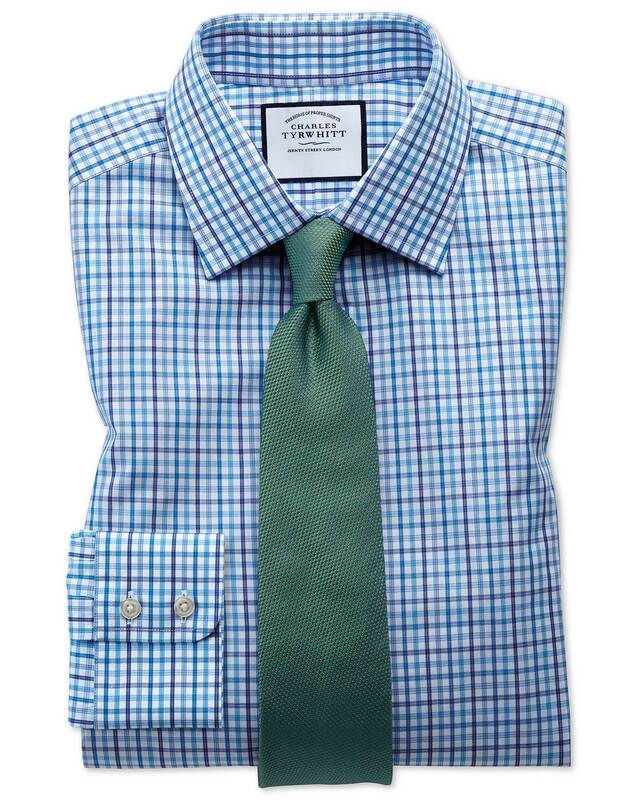 "Crisp, comfortable and cool, this poplin shirt is made from two-ply yarns that also make it highly durable." Haven't worn it yet but it looks great - exactly as expected. Great design with 4 different blues. Looks very interesting, and really nice business shirt.